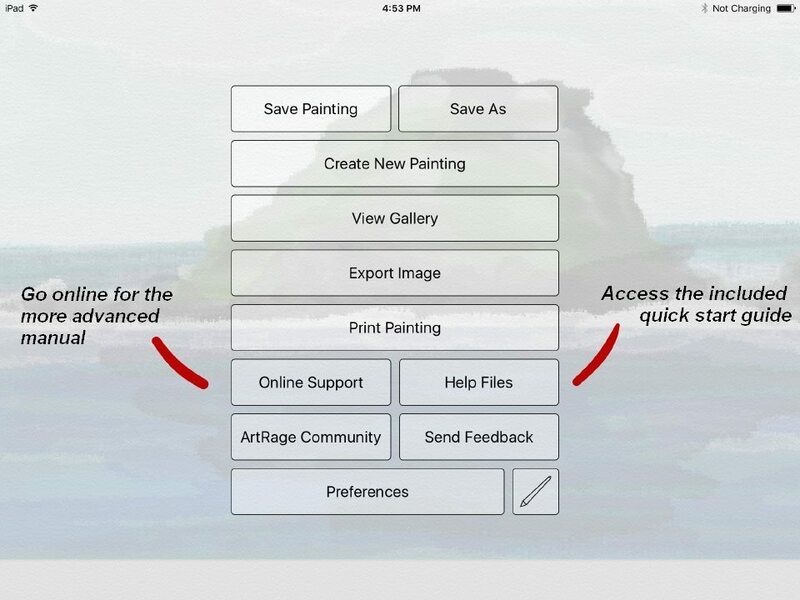 The ArtRage for iOS app is a fully featured natural media painting app for iPad and iPhone devices. It includes a quick start guide, which will help introduce you to the various tools and menus, as well as these online help pages. Get to know the app with these short videos. You can access the online manuals and quick start guide by going to Menu > Online Support and Menu > Help Files from the canvas view. Choose “Help Files” or “Online Support” to explore the manual options. This introductory manual is built into the app, and can be accessed at any time from the menu. If you’re just getting start, or trying to find a certain option, this is the best place to start. If you’re still having problems or need help figuring out how to do something specific, try our Art Community Forums or our Tech Support.